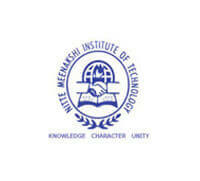 The NMIT (Nitte Meenakshi Institute of Technology) was founded in 2001 by Vinaya Hedge. He is the son of the late Justice K. S Hedge who founded NMAMIT (Nitte Mahalinga Adyanathaya Memorial Institute of Technology) at Nitte. The NMIT is located in Bangalore, Karnataka. It is an autonomous institution of engineering. The college is counted among the top 50 engineering colleges in India. It has NAAC ‘A’ grade rating. There are numbers of facilities in the campus to give students a creative learning experience. There are libraries, laboratories, hostels, and canteen to give students a hassle-free stay. Area – The NMIT College is spread in an area of 23 acres. There are different laboratories for different branches of engineering. Mechanical Laboratory – It is a well-equipped laboratory with all necessary equipment for students like Miller, drilling, and sapper machines. There is IC Engine lab; Heat and mass transfer laboratory; 2 CAD labs; and 30 lathe machines. Aeronautical Laboratory – There is a wind tunnel laboratory. Computer Laboratory – There are 8 Sun Work-Stations and 27 P-4 computers. Electronic Laboratory – There are 7 P- 4 computers. NMIT Clean Room – There is an electronic lab of 10,000 ppm. Anaadyanta – The NMIT organises techno-cultural festival annually in which technical colleges from across the country participate to showcase their technological achievements. Association – There is a student association ‘Yantra’ to address student’s needs and aspirations. Magazine – A monthly magazine is published by the NMIT which name is ‘Mechzine’. The college offers Undergraduate, Postgraduate and Post-doctoral programmes for the students. The annual fee charged from the students who come through the CET (Common Entrance Test) is ₹ 50, 500 annually. The annual fee charged from the students who take admission by qualifying the COMEDK entrance exam is ₹ 1, 70, 000 annually. Other fee that are charged from students one-time during admission is ₹ 30,000. Students can get admission in the NMIT College by qualifying either CET or COMEDK entrance exams. The Karnataka exam authority conducts CET every year in the month of April. This exam can be taken up by students belonging to the Karnataka only. Interested students can also get admission by qualifying the COMEDK exam. This exam is conducted by the consortium of the private technical colleges of Karnataka. Students from outside Karnataka are also eligible to appear in this exam. It should be noted that 45% of the total available seats are to be filled through CET exam and 30% of the seats are filled through the COMEDK. 25% of the seats are filled through the Management Quota. A student should have passed Class 12th in PCM subjects with a minimum aggregate of 45% marks. The reserved category students of Karnataka should have a minimum aggregate of 40% marks to become eligible for admission. An applicant should have passed the B. Tech/ B. E from a recognised college/ university. He/ she should have a minimum percentage of 50% marks in B. Tech/ B. E course to become eligible for admission in the NMIT. A student should apply for admission either with the CET exam score (if from Karnataka) or should apply for admission with the COMEDK score if from outside Karnataka. They can seek admission also through the management quota. Some of the prominent companies coming for placement are- Tech Mahindra, ITC, Infotech, Dell, Wipro, Coca-Cola, Amazon, ICICI, NTT Data, Oracle, Siemens ETC. 3.60 lakhs – 4.00 lakhs per annum.